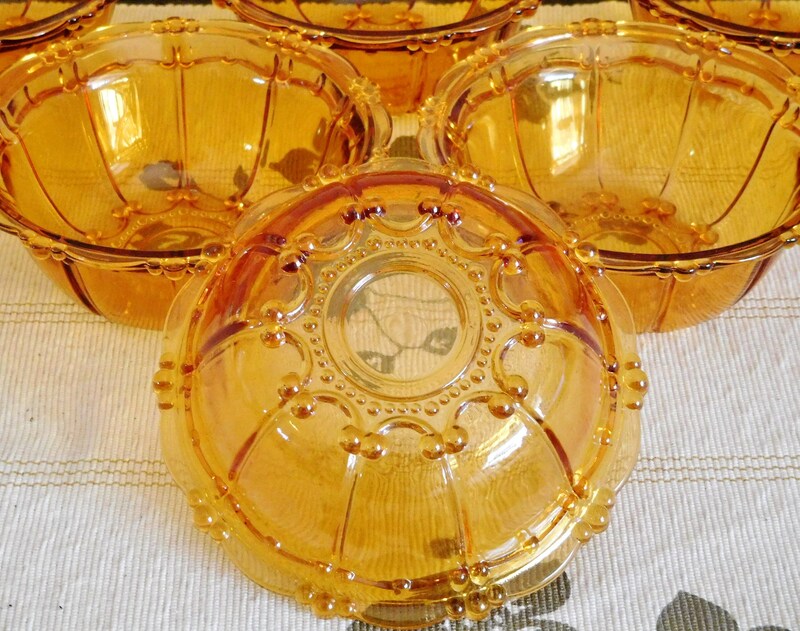 6 amber glass mid century small dessert or fruit bowls dating from the 1940s. 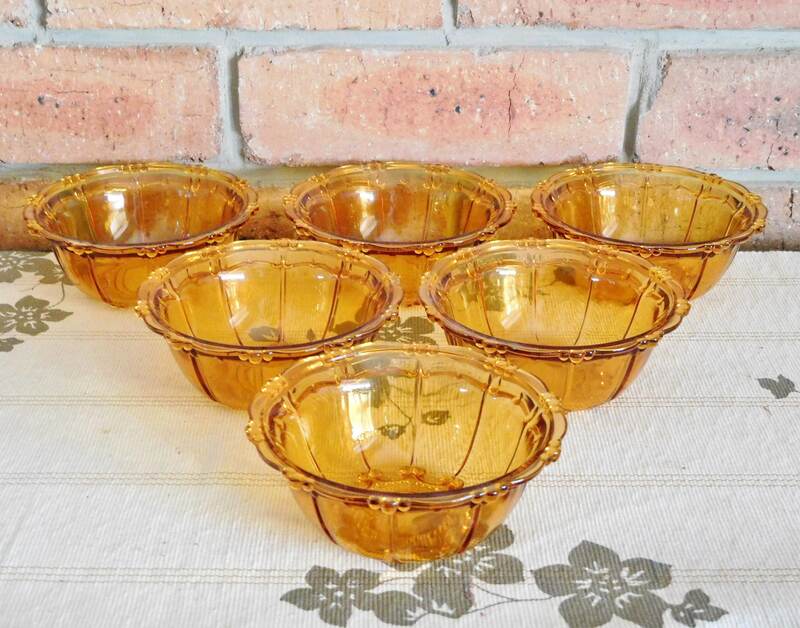 Each bowl is in perfect undamaged condition. 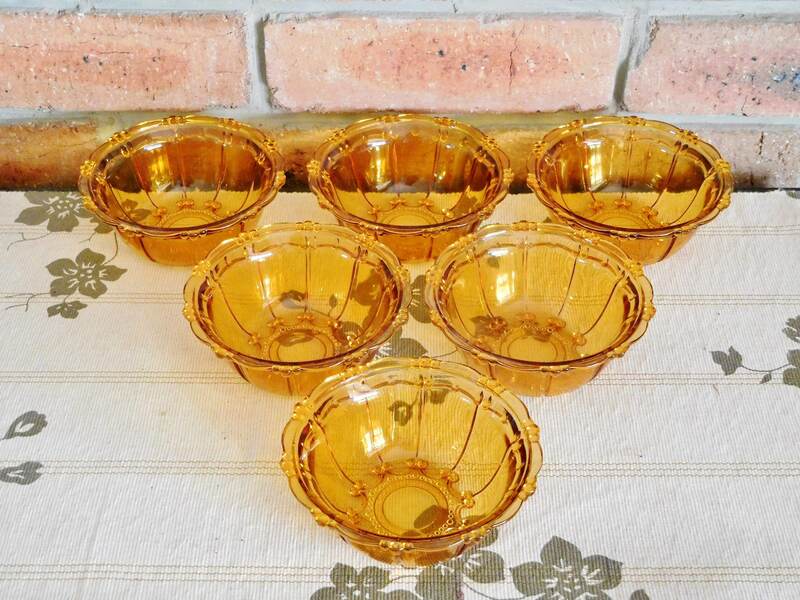 This set would make an excellent gift for that special someone in your life!